One of my favorite lines about Pat Summitt was when Bruce Pearl was at Tennessee as the men’s basketball coach (now at Auburn). Pearl gave an interview about Summit on ESPN and said how they are both such good coaches, having combined for 8 national championships. Of course, he was heaping praise on her as Summit, alone has won 8 championships, with the most recent ones coming back-to-back and 2007 and 2008. They haven’t been back to the Final Four since that time. 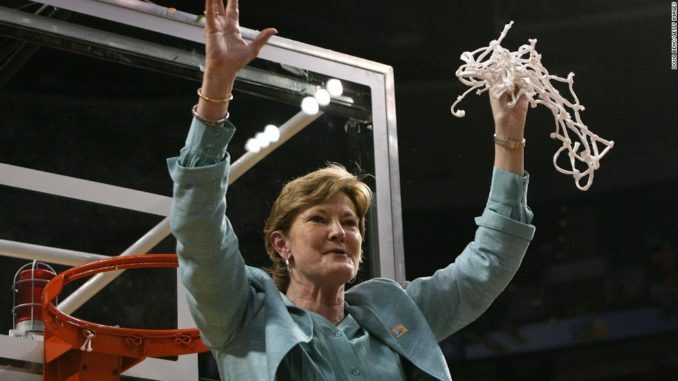 The only team comparable to Tennessee during Summitt’s time was Connecticut. They played every year from 1995-2007 and Uconn holds a 13-9 advantage. That record includes that UConn is 4-0 against Tennessee is National Championships (1995, 2000, 2003, 2004). Pat Summitt will always be remembered for being one of the most influential voices in college basketball and one of the greatest coaches of all time. She has put her stamped on the game forever and will always be missed. Is 2018-19 Tennessee one of the teams that can compete with UConn? Full Press Coverage highlights the top non-UConn women’s teams for this upcoming season.